Looking around, we see fields and fields of green grass! And then we see a hill. 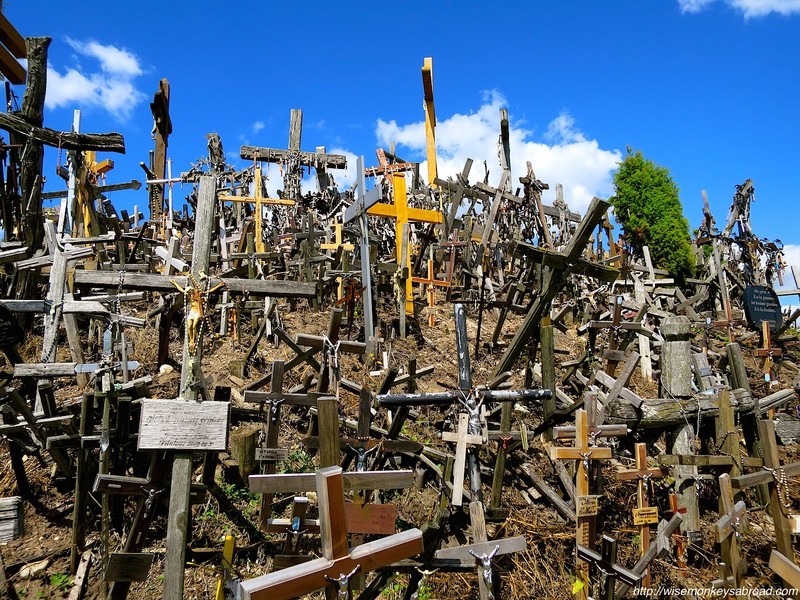 And on that hill, we see thousands and thousands of crosses. 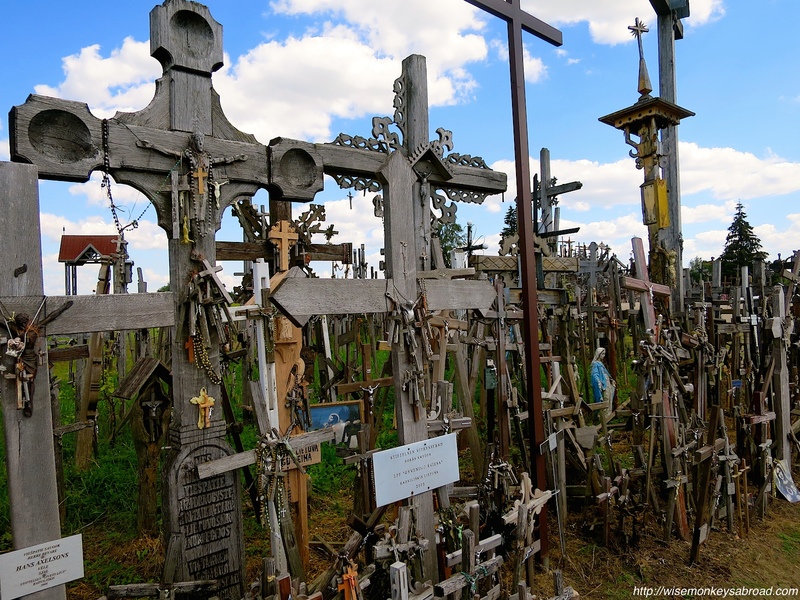 Hundreds of thousands of crucifixes of all different varieties: wooden ones, metal ones, miniscule ones and gigantic ones. 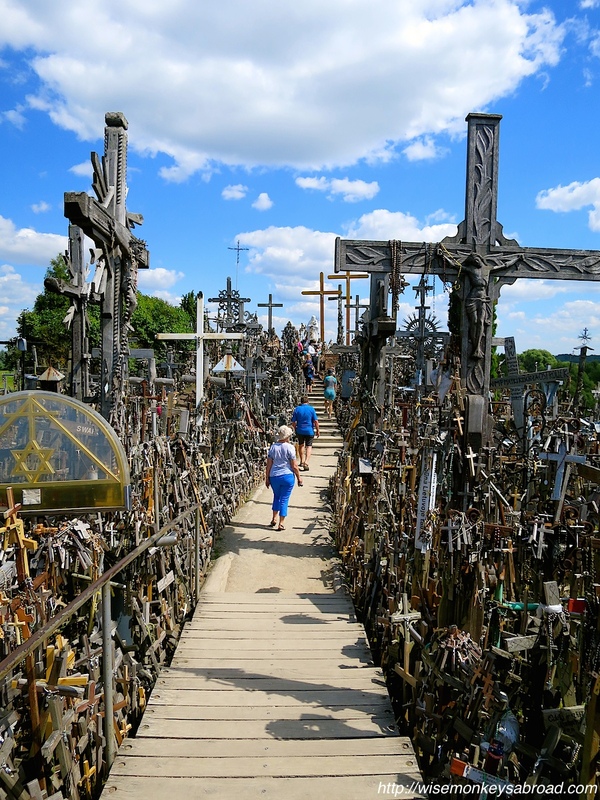 The Hill of Crosses is quite a remarkable sight. 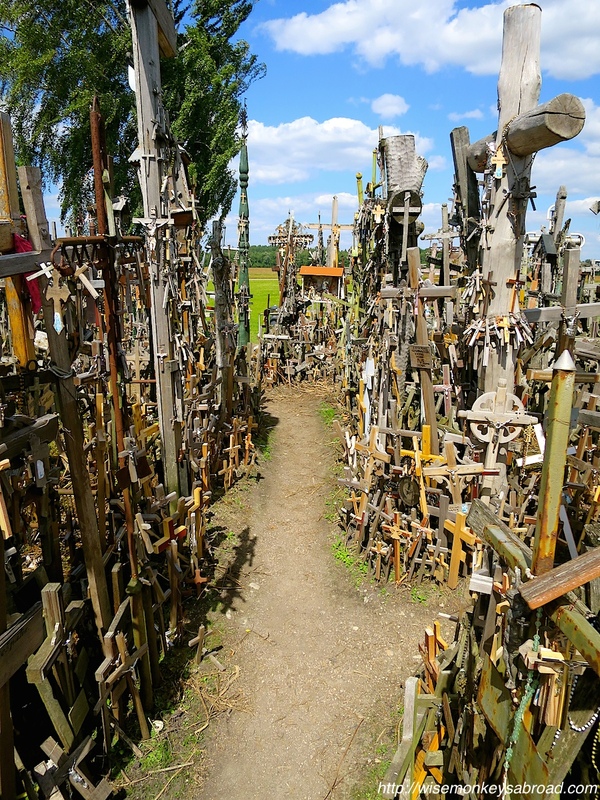 We felt a great reverence for those who have had a cross placed here for them as we walk through the narrow paths lined with crosses. 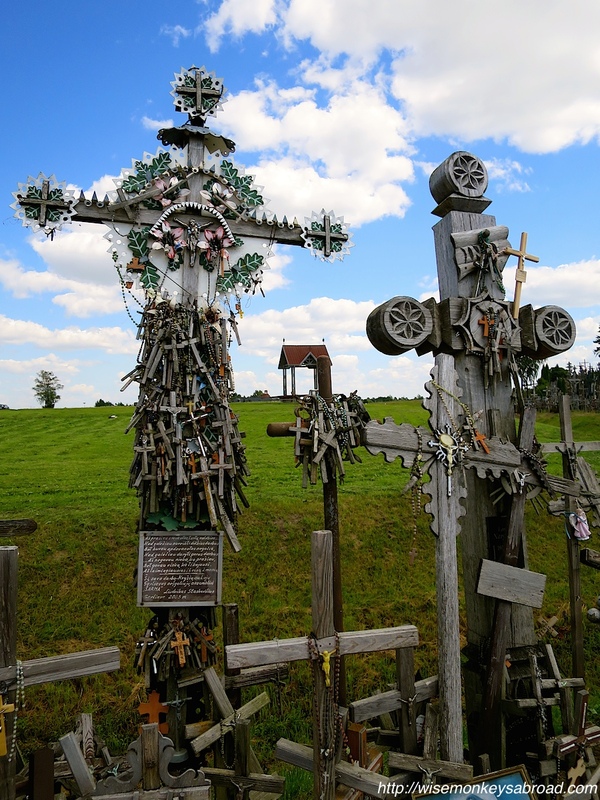 This is a sacred pilgrimage site and we can certainly see why. There is a strong spiritual feel and a sense of peacefulness. Its location probably helps as it is rather removed from the hustle bustle of a major city. 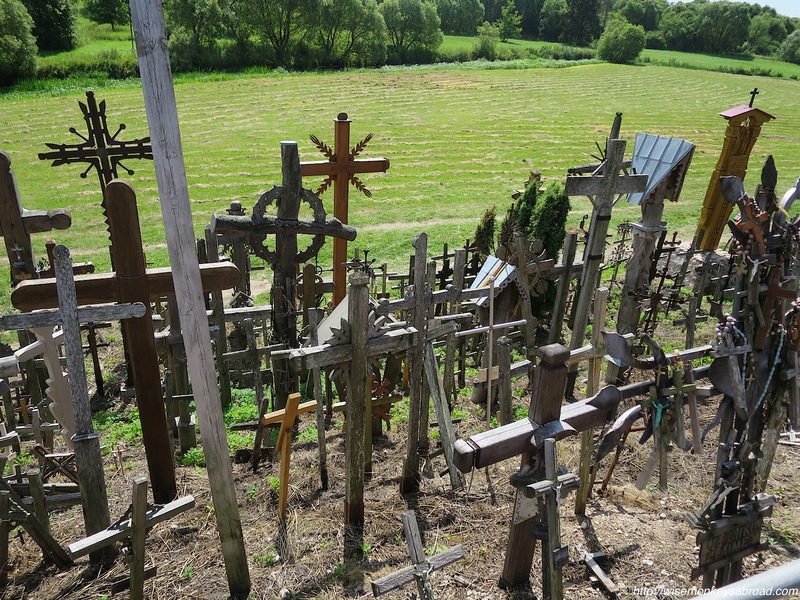 The information behind the origin is all very hazy but it is believed that relatives placed crosses here for those who were killed during the 1800s uprising between Eastern Europe and the Russian Empire. 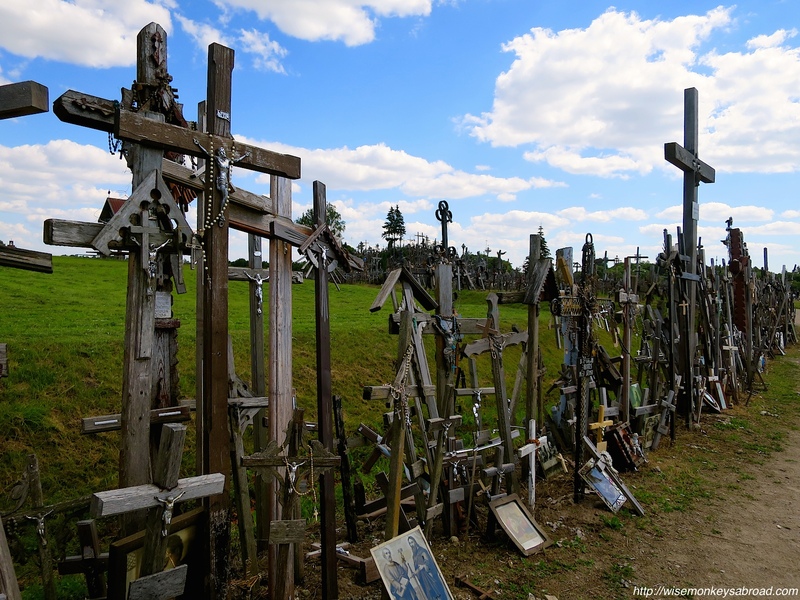 Over the years, it has become a symbolic “grave” for anyone that has passed away. 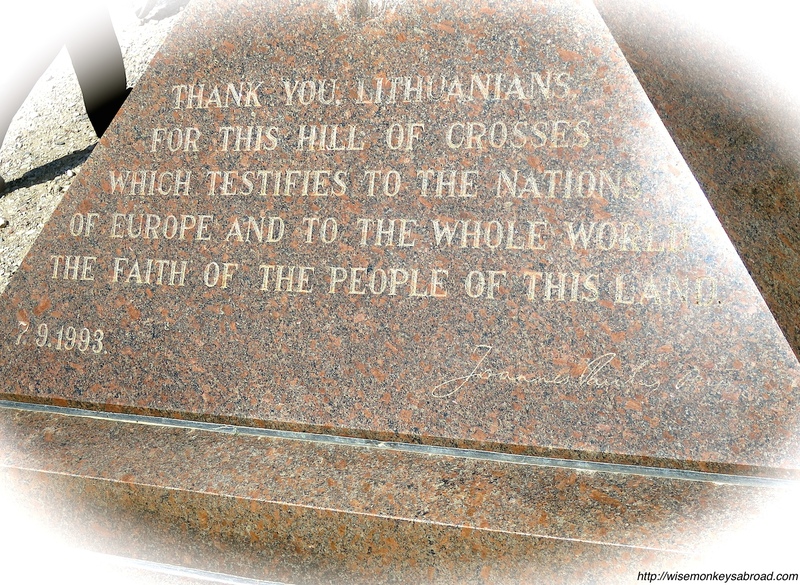 During the Russian Occupation of Lithuania, this was the Lithuanians show of their unity, faith and identity. The last thing we see during our visit is a stone that is inscribed with the words of Pope John Paul II following his visit. This really was a fitting summary of what we saw! We found this a moving place to visit. 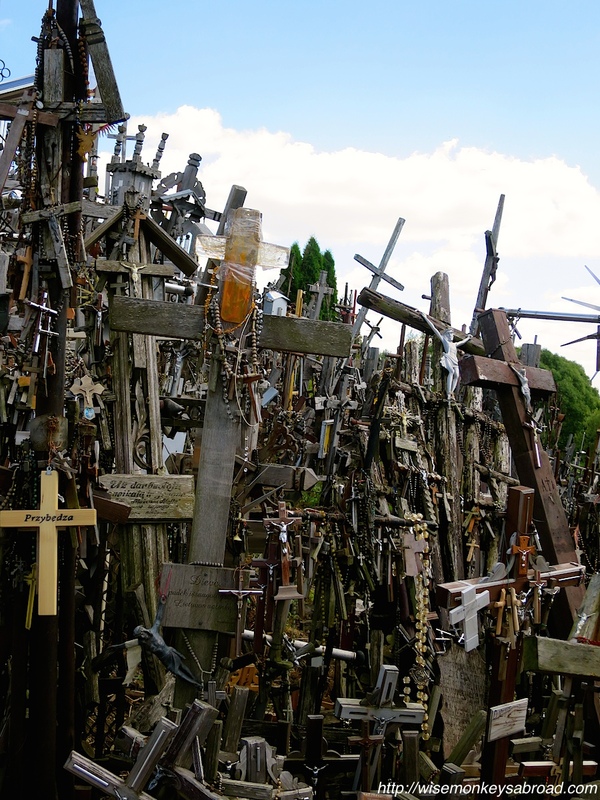 Have you been to the Hill of Crosses? 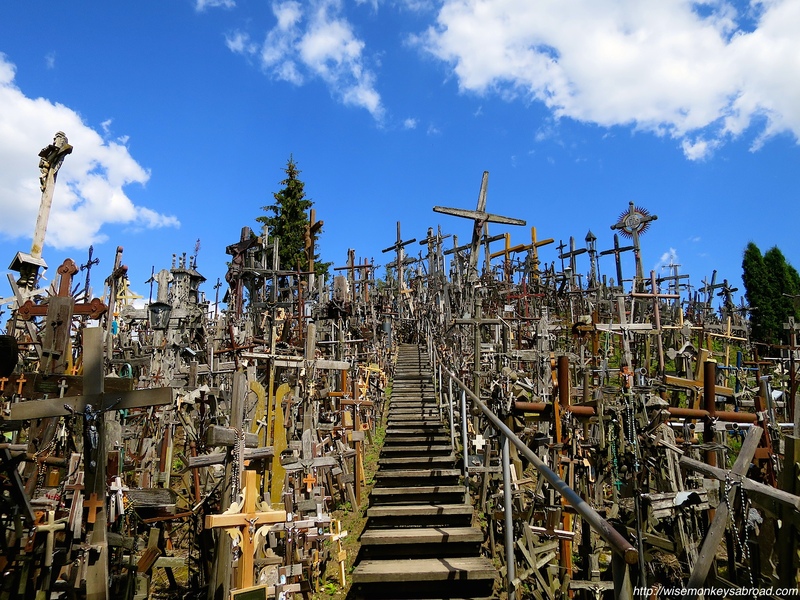 This entry was posted in Europe, Lithuania and tagged Hill of Crosses, Lithuania, photo essay, Photography, pilgrimage site, religious, Travel. Your photos really captured the spirit of the place. Thanks for sharing. Thank you 🙂 – it certainly is special place! That place is completely unreal!! 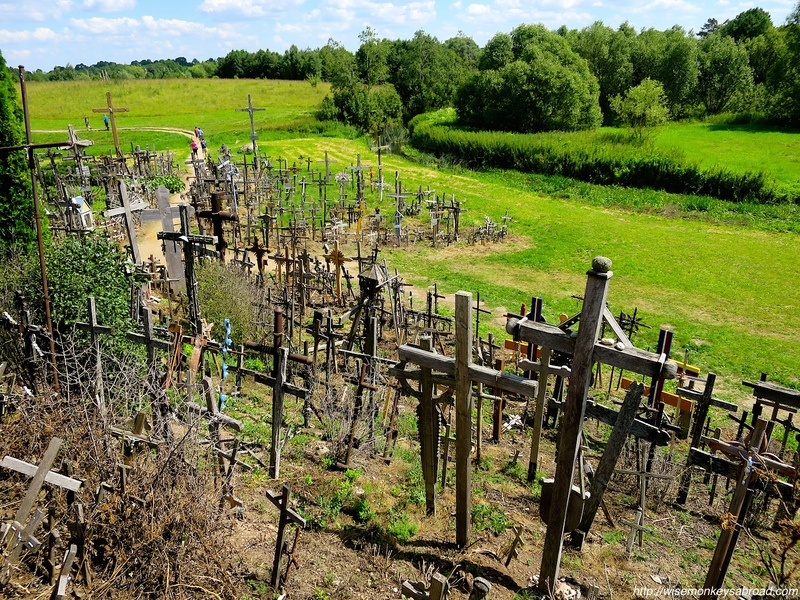 I’d love to go check out the hill of crosses, I had no idea this place existed. We had heard about it from a friend some time ago and so had it on our “list” to visit. When we saw it for ourselves – we were pretty speechless for a while. I should add it to my Best Travel Experiences list it is quite unique. Thanks for sharing! this is similar to love padlock but different…. Fantastic pictures, never seen anything like this, what a special place to visit. Thank you for stopping by and leaving us a comment 🙂 It was definitely very unique and special! 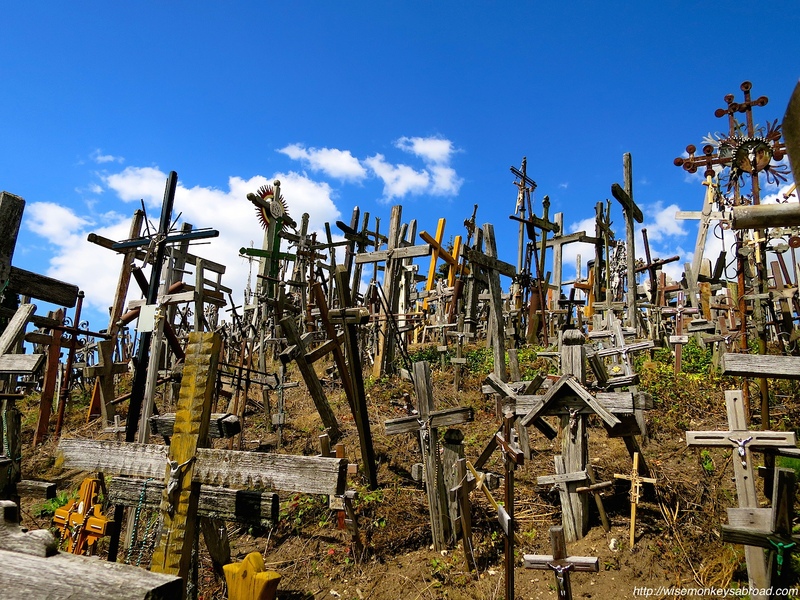 What a unique and moving place……. We are feeling very fortunate and grateful to be on this journey ….. But can’t believe we are almost halfway there already! No we were there only briefly about 3 weeks ago! We are now in France 🙂 Baltic States are definitely worth a visit!